1. Atomic Learning: The popular resource offers “how to” videos for a range of K-12 subjects. 2. Khan Academy: The free site offers resources on subjects such as Math, Science, and Economics. 3. Lynda: This resource offers tutorials on many subjects, and lets users create custom playlists. 4. MentorMob/LessonPaths: View and create “Learning Playlists” through an easy-to-use interface. 5. Sophia: This learning network offers tutorials, online courses, and resources. It also shows educators how to create a Flipped Classroom/lesson. 6. Teacher Training Videos (TTV): Russell Stannard’s Web site offers high-quality screencasts to help teachers, on a variety of topics. 7. Teachers Tech: This iOS app helps users find videos on over 200 Web 2.0 resources. 8. Techsmith: Create your own screencasts and take advantage of the other tools/apps that the company provides. The site includes tutorials on how to use Techsmith products. 9. Virtual Nerd Mobile Math: This free iOS app helps teachers find educational interactive videos on middle and high school math concepts. 10. WizIQ: This Web site offers a wide variety of educational tutorials. 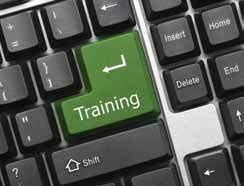 Furthermore, students can find online courses and an educator can host online trainings.